In 2015, Walmart stores around the U.S. were abruptly closed due what Walmart claimed were “plumbing problems.“ Walmarts in Pico Rivera, CA, Livingston, TX, Midland, TX, Brandon, FL, and Tulsa, OK, all suddenly closed their doors, with Walmart corporate announcing that some of those outlets would be shuttered for six months or more, conspiracy theories abounded about them being turned into detention centers. 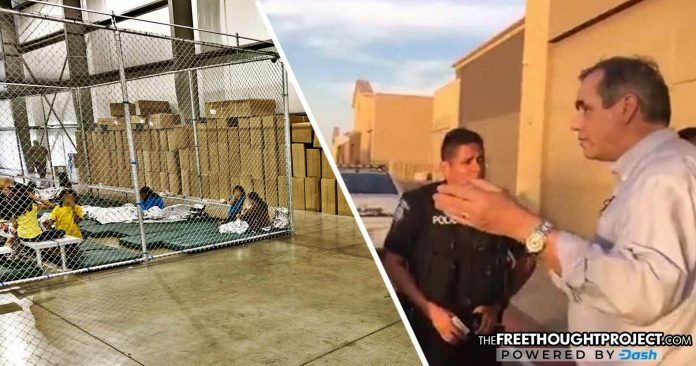 While the Walmart mentioned in the story below is not one of the aforementioned Walmarts, it was shut down, sold to a private company and is currently being used to house immigrants. UPDATE: This story has been edited to eliminate confusion about Walmart actually working with DHS. DHS is NOT working with Walmart to house immigrants. When an organization has something to hide, not allowing members of congress to see it, in a democracy, is completely unacceptable…What’s going on is an effort to prevent the press from being able to report to the American people what is happening. And that’s simply unacceptable. So far, as far as we know, no member of Congress has actually been allowed to see what’s going on with this program. We regret having to turn away Senator Merkley at our Casa Padre shelter. The U.S. Office of Refugee Resettlement (ORR) prohibits any facility from allowing visits that have not been approved by them, even if it is a U.S. Senator. With ORR approval, Southwest Key shelters have welcomed elected and other public officials at our facilities in the past, and will continue to do so, because we are proud of the caring environment we provide these children. We have reached out to the Senator and connected with his staff because we would like to see this happen. 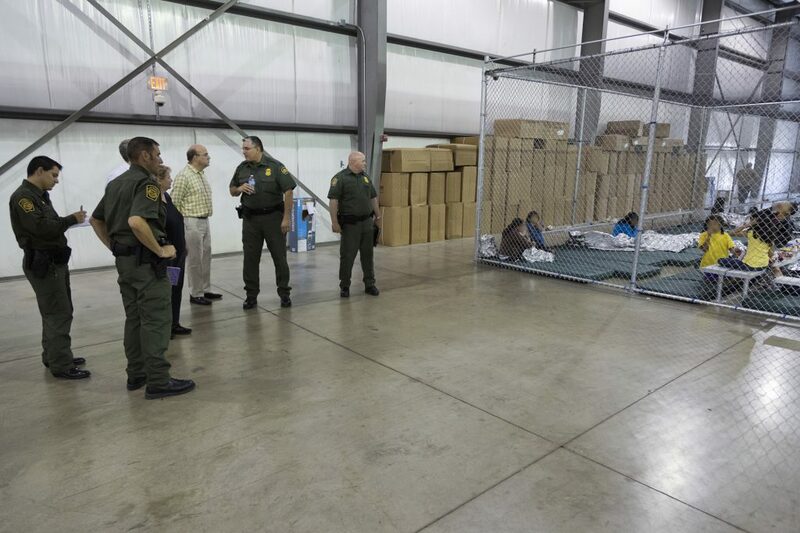 What’s more, DHS press secretary Tyler Houlton said Merkley was actually able to visit the facility—in spite of the video showing otherwise. Photo: McAllen, TX, U.S. Rep. Jim McGovern (MA-02) tour of processing center. It is important to note that a rise in gang violence in El Salvador, Honduras and Guatemala has caused a massive influx of immigrants seeking refuge lately. They are coming in by the thousands in an attempt to escape this violence. Instead of looking at the cause of this violence, however, US policy is to separate immigrant children from their parents while prosecuting the adults—and this is supposed to somehow be a solution. Instead of wearing the badge of the “largest prison population in the world” and continue to convert Walmarts into detention centers, the United States could begin eliminating the national debt, reduce crime, foster personal liberty, and drastically decrease criminal gangs that flourish from prohibition—and all it would have to do would be end the war on drugs.